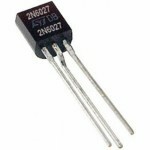 Purchase online 2N3904C Switching Transistor in India at low price from DNA Technology, Nashik. 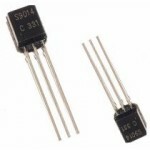 2N3904C Switching Transistor is a Epitaxial Planer NPN transistor. 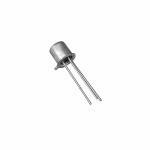 Low Leakage Current: ICEX=50nA(Max. ), IBL=50nA(Max.) 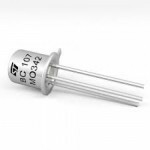 @VCE=30V, VEB=3V. Excellent DC Current Gain Linearity. Low Leakage Current: VCE(sat)=0.3V(Max.) @IC=50mA, IB=5mA. 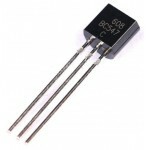 Low Collector Output Capacitance: Cob=4pF(Max.) @VCB=5V. 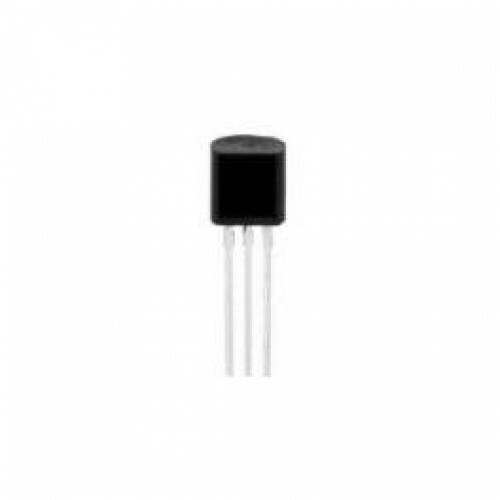 BF495 NPN Medium Frequency TransistorBF495 are NPN silicon Planar Epitaxial Transistors for RF&..
2SC9014 NPN Transistor2SC9014 NPN Transistor is the pre-amplifier. The 2SC9014 NTE is Equivalent to ..
BC107B TransistorThe BC107 and BC107B are silicon Planar Epitaxial NPN transistors in TO-18 metal ca..
2N3906 Small Signal PNP TransistorThe 2N3906 is a commonly used PNP bipolar junction transistor inte..
2N2222 Amplifier Transistor2N2222 is NPN BJT normally used in low power amplifiers and also for..
2N6027 Programmable Unijunction Transistor2N6027 Transistor is designed to enable the engineer to “p..